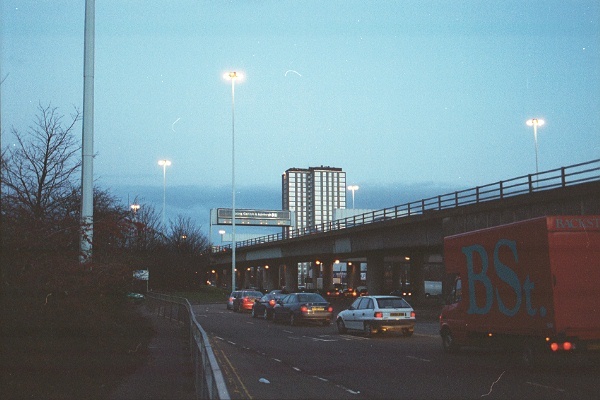 The A804 below, with M8 climbing up on the right, looking east. 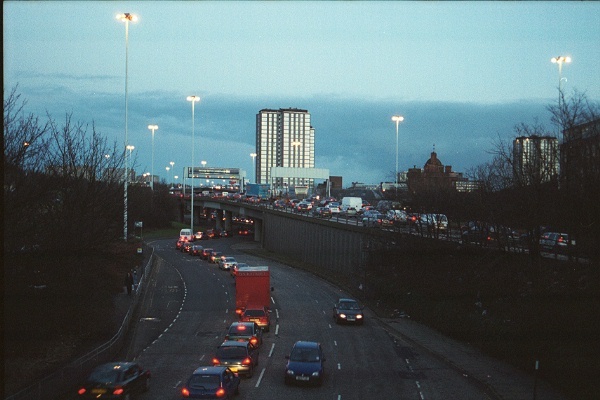 The queue of traffic is waiting to turn right has come off the A82 and is trying to get onto the westbound M8. Although the right turn ahead is difficult, they then have priority over the traffic using the loop directly from the A82. 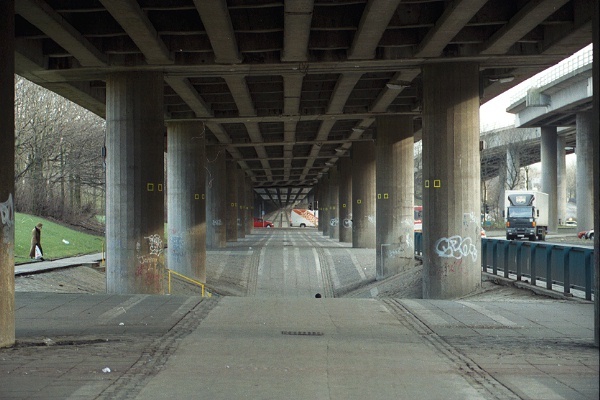 At the time these photos were taken, the right turn was a non-motorway link back to Charing Cross. 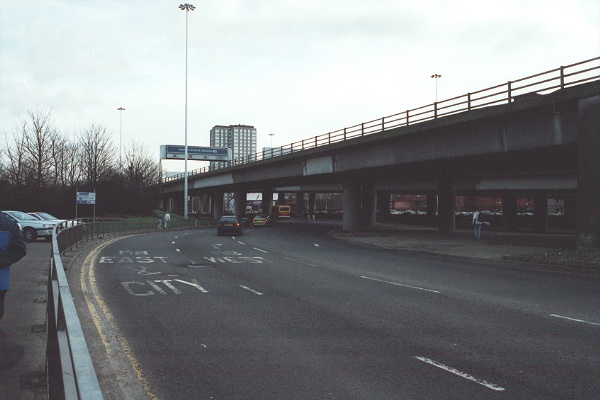 This has apparently changed, and the link road is now part of the motorway. 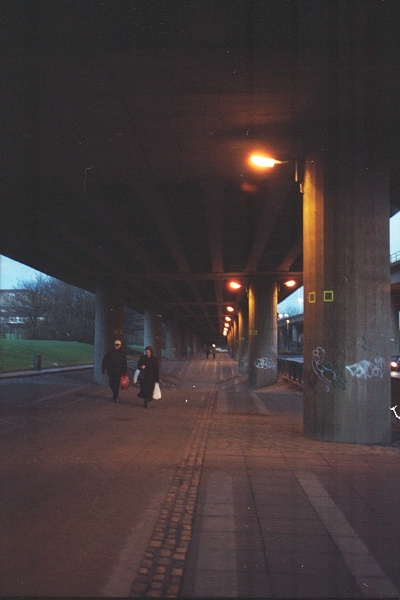 Under the M8 eastbound carriageway is this broad pedestrian walkway. Even at night, it's very well lit, and doesn't seem at all threatening. 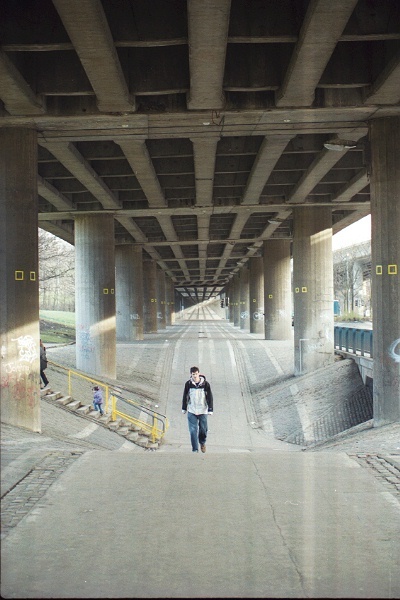 Black and white stripes, now faded, painted along the walkway to emphasise the distance, with a pattern in perspective on the end wall to continue the illusion. Another view of the painted stripes. 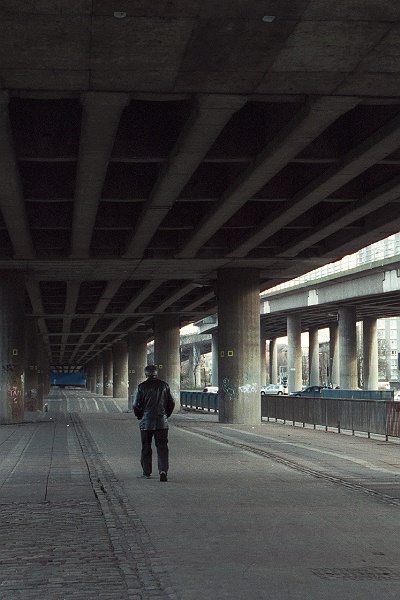 The yellow squares on the pillars are all reflective, and their purpose unknown. 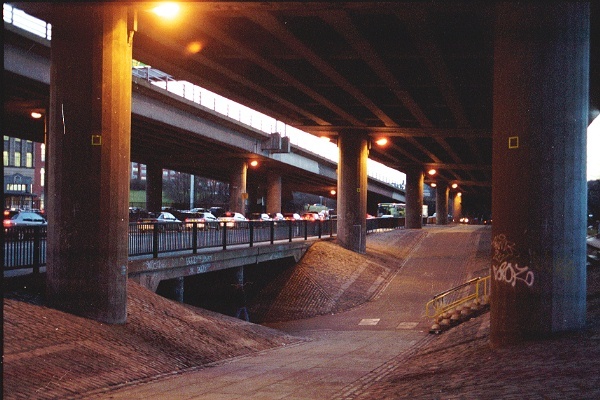 The dip in the middle of the walkway is access to an underpass, leading under the A804 towards Cowcaddens and the city centre.